The DPP, the media industry’s business change network, published its annual report on the Las Vegas Consumer Electronics Show (CES) to its member companies. This year’s report has been enabled by DPP member company Covatic. CES 2019, is the most in-depth publication on the trends to emerge from the world’s biggest technology trade show. It highlights the arrival of voice-led content voice search as the most significant development at CES 2019. Voice content search wasn’t the only new trend at CES that could have profound implications for media. Among others was the emergence of out of home environments as technology rich spaces suited to ubiquitous media. 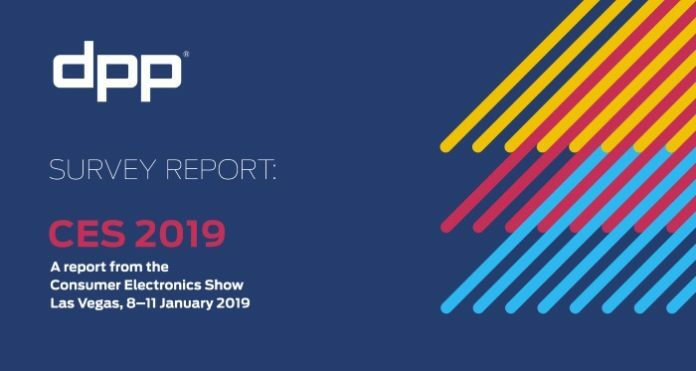 The DPP has data on technologies and trends at CES going back to 2010, and the latest report sets the 2019 trends in a wider trends perspective. It is the first of a trio of reports from the DPP looking at key trends for media. The next will be the DPP’s 2019 Predictions, published in early February. This will be followed by a unique examination, called Blindsided, which looks at emerging trends that could prove highly disruptive for the professional media sector.